Win a necklace from Divine Jewel! Several months ago, I had the wonderful privilege of working with Silvia of Divine Jewel on this styled bridal shoot shoot. 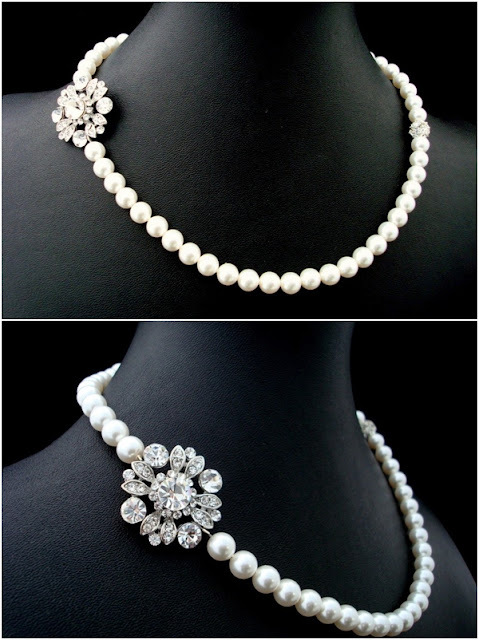 She creates some of the loveliest pearl jewelry I've ever seen and I was fortunate enough to see and photograph several pieces from her collection. With some recent accomplishments and because Silvia is the sweetest ever, we partnered up to giveaway a sweet and simple necklace to my awesome Le Magnifique readers. I'm changing up the giveaway this time - trying out something new. I think it will be a much easier way to enter and you'll also have more chances to win! Scroll down to start entering. Anyone can enter! ***The first 4 entries ("like" LM on FB, "like" DJ on FB, leave blog comment, and post on FB) must be completed for your entries to count. All other entries are extra points. You can tweet/Facebook about it once a day for additional entries. Also remember that you must tag Le Magnifique & Divine Jewel for the Facebook status to count. Lastly, we keep track of all entries that are completed. We've received several entries are are incomplete. Incomplete entries will not count. Thank you! Winner will be announced on 1/15/12. LOVE LOVE LOVE the Dahlia Ivory necklace. LOVE it!!! Amazing necklaces. Love them all. Love it! So beautiful and different!